In applying for an Oxford traineeship many people find themselves relocating to the city for the year, perhaps never having visited Oxford before. Renowned worldwide as “the city of dreaming spires”, Oxford has for centuries been considered one of the most desirable places to live and work. Steeped in history, yet at the same time thriving and modern, Oxford represents the best of the British university city, with tradition and progress standing shoulder to shoulder. As a library trainee, you’ll find yourself at the centre of both aspects of the city as its libraries and colleges are its oldest and most prized assets, while both are constantly striving to remain at the forefront of educational excellence. Aside from admiring the view, however, Oxford is a pleasant and vibrant place to live, busy yet not overwhelming, at times quiet but never dull. Offering “something for everyone” has become a tired phrase, yet few cities in Britain have so strong a claim as Oxford to providing just that. Finding somewhere to live in Oxford can be both harder and easier than it looks. It’s harder because there’s never quite what you want, quite when you want it, and it always costs more than you think – the prices here are just about the same as London. On the other hand, there are so many landlords, estate agents and tenancy agents, that you should be able to get plenty of help in finding what you want. The most common choice amongst trainees is privately rented accommodation, found either through letting agents in the area or directly through the landlord. There are lots of students and young professionals in the city who have spare rooms which they advertise online, so housesharing is a popular option for library trainees. Another option is lodging (often in a family home), which is an affordable means of living in good quality central accommodation. Council tax in Oxford is quite high, and you will be jointly liable for its payment in shared houses. If you are sharing accommodation with students, you as a non-student will end up paying a disproportionate amount of council tax (up to 80%), so this is something to bear in mind whilst seeking accommodation. If you don’t live near Oxford it can be difficult to arrange property viewings. One option is to view via Skype, or to ask an Oxford-dwelling friend/current tenant to view it for you and take videos, etc. However, it may also be worth considering initially renting a short let room (e.g. an Airbnb) while you get your bearings, and looking for a place to rent in the longer term once you have started your traineeship. There is also the option of commuting from beyond Oxford. It’s not particularly common amongst trainees, but it can be a good option if you already live within reasonable distance or have parents or a partner who do. Oxford is generally very well served by trains and buses, both of which have their pros and cons. Trains are usually faster but are also usually a lot more expensive than buses and both of them can be unreliable at times. Driving is also an option but the traffic can be awful and unless you have somewhere to park in Oxford then you’ll need to use the Park & Ride. Commuting can be an excellent way to save money, however the downside is travelling and being further away from the social and cultural network that living in Oxford can provide. You may need to act fast to secure a room or property that you particularly like–places get snapped up very quickly. Having said that, don’t feel pressured into signing anything rashly; there is definitely no shortage of available rooms! Beware of scammers, of which there are many. Never send money to anyone before viewing a property, and make sure there is a secure tenancy deposit scheme if possible. Read the advice on the National Fraud and Cyber Crime website. Spareroom is the main site for house-/flatsharing and lodging ads. 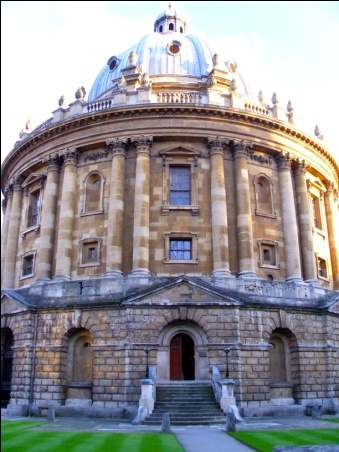 Daily Info is a weekly Oxford publication. The website has lots of adverts for all sorts of accommodation, including houses and house- and flatshares. People looking for lodgers also tend to place ads here. Gumtree Oxfordshire can be useful for finding houseshares. There are also a number of Facebook pages for Oxford housing. The most trustworthy is OxGradHousing, which is made up of graduate students and young professionals.